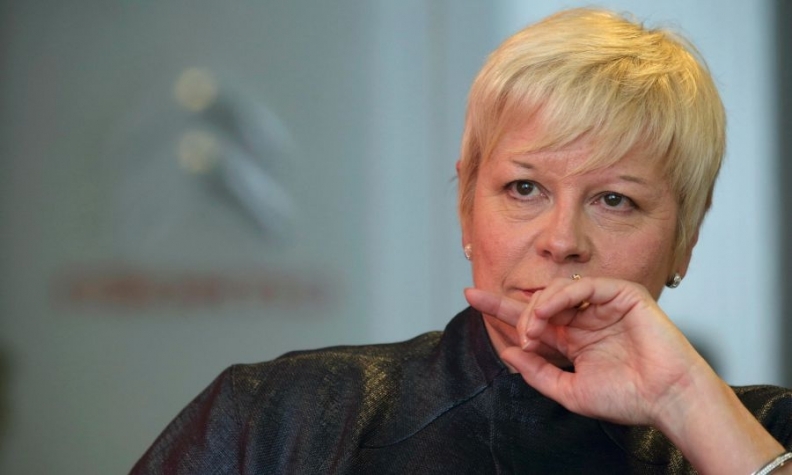 Citroen CEO Linda Jackson is one of the highest ranking woman in the European auto industry. EY suggests companies put more women in their talent pipelines and encourage those in leadership positions to sponsor women as they move up. The auto industry must do more if it wants to close the gender gap in its leadership positions, a report released Thursday found. The survey of 350 C-suite executives at 51 companies, including 50 auto executives, found that although the executives recognize a need to diversify their companies, challenges remain in getting there, including systemic problems and misperceptions about what women want in the workplace. The survey was conducted by EY, a consulting firm. Randy Miller, EY’s automotive leader, said the good news is that 56 percent of industry leaders say women are underused as a source of talent, meaning the leaders recognize the problem and the benefits of solving it. “This is a business need that can help differentiate and sustain you in the market,” Miller said, calling successful efforts to increase gender diversity and diversity of thought a “strategic weapon” for companies. 90 percent of auto companies say they need to change how they attract and retain talent, but only 10 percent say they do a good job of bringing women onboard. Polling indicates that men in the workplace overvalue how much they think raising a family prohibits women from advancing up the company ladder. Only 50 percent of companies measure gender diversity. Miller said the auto industry might have a tougher time than other sectors in addressing the gender gap because of the industry’s cyclical nature. He said programs focused on closing the gap receive more attention during good years but tend to fall by the wayside during downturns. “When things are going good, these programs get more of a focus,” Miller said. EY suggests companies put more women in their talent pipelines and encourage those in leadership positions to sponsor women as they move up. EY also said women should expand their networks and should “take charge” of their priorities, while men should seek to become mentors and “check for bias” when making decisions.